If so, you can take legal action to recover it with JMW Legal. In certain situations, you can also recover your legal costs related to recovery proceedings. Debts of up to $150,000 can be recovered in the Magistrates Court. Debts over $150,000 (but under $750,000) can be recovered in the District Court whilst debts over $750,000 can be recovered in the Supreme Court. Entering Judgement against the debtor (when no action is taken by the debtor after 28 days from service). Once Judgement is entered, a number of procedures are available to enforce it. 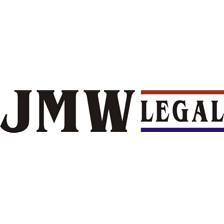 With JMW Legal, you will be assisted with Warrants of Execution (seizure of goods to sell in order to repay the debt), Examination Summons (requiring the debtor to attend Court to disclose how they will satisfy the Judgement), and Garnishees Orders (whereby the Court can order a third party (eg a bank or employer) to pay money to you instead of a debtor. If these procedures fail to produce a result, and the debtor owes more than $2000, then JMW Legal can assist you with commencing either bankruptcy proceedings (for individuals) or winding up proceedings (for companies). If an individual is declared bankrupt by the Courts, a Trustee is appointed to take control of the insolvent person’s estate in order to turn the assets into cash to distribute equally among unsecured creditors (those who do not hold security for payment of the debt). Secured creditors can commence debt recovery by disposing of the asset securing the loan (e.g. a bank would do this if mortgage payments are not made on a house). Bankruptcy proceedings are handled in either the Federal Court or the Federal Circuit Court, depending on the complexity. When a company is declared insolvent, the Court has the power to ‘wind it up’ and appoint a Liquidator, whose responsibility is to turn the assets into cash and distribute it in the order set out in the Corporations Act. The creditor and the liquidator firstly recover their costs, followed by certain entitlements to employees. The balance is distributed amongst unsecured creditors. Winding up proceedings are handled in either the Supreme Court or the Federal Court. JMW Legal can assist you by filing an Originating Application. If the Court is satisfied that the company is trading insolvent, it can then appoint a liquidator. Contact JMW Legal for more information or to arrange a consultation.